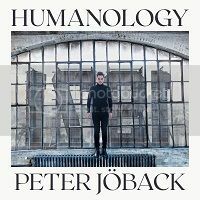 Peter has been announced as a participant in the 12th season of the highly popular Swedish TV show, Stjärnorna på slottet. The show basis is that five famous people live together in a castle for five days. Each person has one day that focuses on them and their career, they eat dinners where they discuss the individual. 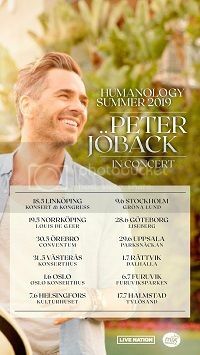 Peter will be filming the show for five days in August at Teleborg Castle in Växjö. It will be broadcast on SVT after Christmas 2017. “Modus” is now available to buy on DVD and Blu-ray in Germany, the UK, Australia and now Sweden. Other European countries may have released it too. It appears that the German release will include a German language soundtrack, as well as the original Swedish one. “Modus” should be available through the usual retailers. Last year, Peter joined the ensemble cast for Modus, an eight part crime thriller from the Swedish network TV4. Peter played Rolf, the husband of Marcus (Magnus Roosmann) who get caught up in a series of brutal murders. The show was a huge success on Swedish TV and has been sold internationally. BBC 4 in the UK have the rights but as far as I know, it has not been scheduled yet. The show is currently being repeated in Sweden and is available to watch in Australia on the SBS catch up service with English subtitles. Please be aware that there may be some geographic restrictions on watching streamed episodes. Earlier this year, Peter Jöback and Ola Salo (formerly lead singer for the Swedish group The Ark) joined Gina Dirawi as hosts of Andra Chansen (the second chance semi-final) of Melodifestivalen 2016. As part of the proceedings, the two artists performed an uptempo duet, “Sing Me Out” written by Peter Kvint and Ola Salo. The song has been released digitally on iTunes and Spotify but unfortunately not as a physical release. There is a video of the performance on You Tube, which may be geo-blocked depending on your location. Also on the show, Peter, Ola and Gina performed a version of “Skyfall”, the James Bond song originally recorded by Adele.